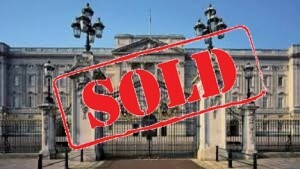 It has long been known that some of the most expensive properties in the UK are owned by foreign concerns via holding companies in tax havens. A recent estimate suggests 100,000 such UK properties, 36,000 of which are in London and as the map on the same site shows, a large concentration of properties in exclusive addresses in the London boroughs of Kensington and Chelsea, and Westminster. There’s nothing illegal about anyone using offshore structures to own property. But there are a few concerns here. Not least that the origin of the wealth is uncertain, perhaps illegally obtained from elsewhere in the world. The avoidance of certain taxes in the UK through owning property through a company rather than individually is more of a concern, especially when the individual beneficially owns the property or the company beneficiaries cannot be identified. And then there’s the social implications of property prices being driven up with supply unable to keep up with demand. Let’s turn to each of these. The benefits of owning property through a company, are entirely about offshore tax avoidance on property. Indeed this article in The Telegraph explains to expats why offshore company ownership is exactly what they should be doing. Law firms in the UK (yes, you don’t always need to go to Panama) are ready to help facilitate purchases using offshore companies. This law firm describes the pros and cons on its website, and also makes an interesting point about identity theft being harder with offshore company ownership. Offshore tax avoidance on property is quite simple. Whatever taxes apply to the transfer of property, such as capital gains tax (CGT), inheritance tax (IHT) and stamp duty land tax will not apply if, rather than selling the property, the owner sells all the shares in the company that owns the property. That transaction is outside of the UK, and is subject to whatever taxation applies in the jurisdiction of the transfer. Tax havens likely have zero or close to zero tax rates, resulting in taxes which would have been paid in the UK simply not arising anywhere in the world. On the flip side, there is a cost to setting up a company offshore. And companies need directors who might not make all the decisions you want of them. But that doesn’t seem to be a problem. The UK government as recently as 2013 has partially redressed this tax avoidance by imposing an annual fee on offshore companies owning property. But again, as The Telegraph helpfully explains to such investors there are ways around this using trusts and offsetting the value of the property with debt (i.e. keeping it mortgaged). It’s an interesting twist to the stories following the “Panama Papers” leaks that focus has shifted now to London. Despite banks having “know your customer” rules, which all staff should know (trust me, we all had to do an annual refresher), crime experts claim that London is actually the global money-laundering centre. Mossack Fonseca founder Ramon Fonseca responded to accusations about his eponymous company, stating “I guarantee there is more dirty money in New York and London and Miami than in Panama”. The last reference is possibly a reference to Mexican drug cartel money being laundered through HSBC and for which that bank was fined $2 billion. Nevertheless, UK and USA governments, if they are doing their jobs correctly, can trace “dirty money” being laundered on their doorsteps. When that money is being laundered elsewhere in the world, and arrives via an offshore bank account in the name of a company or trust that has little or no public records, their job becomes more complicated. Offshore tax havens have been asked to cooperate more with onshore governments on this, but their responses have been mixed. One effect of the “Panama Papers” already anticipated is that the top end of London’s property prices might be dealt a blow. The language suggests this is unwelcome, perhaps because the paper carrying the story is owned by a Russian billionaire. Or perhaps I’m being cynical! But the point is that London’s property prices have indeed been pushed higher and higher as more “dirty money”, or even if that’s unproven, money that finds its way via offshore havens to London properties for whatever reason, bids up prices. The consequent trickle-down effect is that even the bottom end of London’s property market has been hit. Clearly locals, those without property assets anyway, are unhappy with this. If the money causing the property boom is indeed dirty, then they have a point. But if it’s genuine money that finds its way to London because that’s where its owner wants to live or invest, then there’s not a lot that can be done. After all, Londoners have been buying property in Cornwall, Cumbria and the Cotswolds for decades, pricing the locals out of the market. And that was apparently OK. The UK government’s move to introduce an “Annual Tax on Enveloped Dwellings” (ATED) has partly redressed the issue of tax-efficient wealth being poured into UK property. An annual charge on the value of the property means that over £218,000 will eventually be levied on properties over £20m and progressively smaller charges in bands down to £0.5 million. These charges will eventually be of the order of 1% of the property’s value. The intention is to penalise offshore structures when they participate in the property market, but it is too early to know how successful this will be. The three taxes which using offshore structures to own property avoids are CGT, IHT and SDLT. This is because the offshore entity changes hands rather than the property, and that is outside of the onshore jurisdiction. So why shouldn’t we simply force all property into onshore ownership? I don’t know the answer to that, but my solution would in fact be to replicate these offshore rules to all property ownership. I have long advocated a land value wealth tax to replace SDLT and IHT, and ATED is as close as you will find in the UK to such a tax. If it’s good enough for offshore companies and trusts, then why not bring it onshore too? Sounds too simple, really.